 OSI can help you in taking advantage of various rapidly growing segments concerning mobile application development. The mobile applications can enhance customer engagement and also foster clients loyalty and brand recognition. If you have been looking for one of the teams for active support for your mobile application development OSI can help you out. We here offer cutting-edge research, mobile development design, and development to match up your unique work requirements. We also look forward to quality assurance sourced by industrial professionals who can ensure any project to be completed with satisfaction and can produce results you are aiming for. We can build mobile applications and test them to function seamlessly across any mobile devices whether it is a smartphone or a tablet. At OSI we have a team of developers and designers for implementing mobile applications of varying complexity for the handheld devices. Our applications built for wireless devices can range from complex mobile-user interfaces to intricate networking applications. The solutions built by us and tested extensively to function seamlessly between tablets, smartphones and for even older devices, for creating effective partnerships and decreasing the cost to the business for promotions, etc.